Keeping the Pounds Off! : It's September so that must mean . . . . 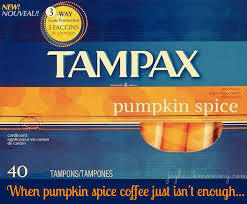 It's September so that must mean . . . .
Time for the annual explosion of Pumpkin Spice products. Good luck with all that. At least I don't have to be concerned that pumpkin spice foods will be attractive to me in an unguarded moment. No more time to write today. Hopefully soon. Until then, enjoy this amusing photo I found on the internet. I had grand plans of cooking with pumpkin in my weight maintenance phase. What really happens is I get belly bloat (all winter squash) and I look 4 months pregnant. Deep sixed those plans pretty quick. Have a good month, Jane.